Images of the concept that Infiniti will use to preview its first production electric vehicle were leaked mid-April ahead of the car’s full reveal at the Auto Shanghai motor show. The Qs Inspiration sports sedan concept is based on an all-new platform that was designed specifically for an electric powertrain. Though scheduled for an April 16 reveal at the auto show, China’s Autohome let loose images of the concept car some six days prior. Reuters reports the automaker will soon confirm that that production model will be built and sold in China within three years. The company has not yet indicated the global markets where the car would be sold, or if it would be produced at other factories worldwide for local sales. 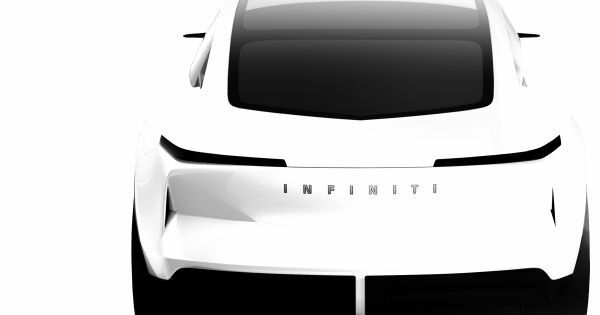 Leaked images of the Infiniti Inspiration Qs Concept. The leaked images show a vehicle with a radically different look than current models, but a lot of similarities to the Inspiration QX concept the automaker unveiled earlier this year. Overall, it looks like the Qs will aim for elegance over ruggedness. The concept also features a minimalistic cockpit and considerable space for passengers. In 2012, Nissan moved its Infiniti headquarters from Japan to Hong Kong, taking advantage of China’s growing market for premium vehicles. Earlier this month, Nissan also announced that it is moving its China design centre – one of its five global design hubs – from Beijing to Shanghai, and increasing its staff there. The company is putting an emphasis on electric vehicles, noting that more than one-third of Southeast Asian consumers are considering electric options for their next vehicle purchases.